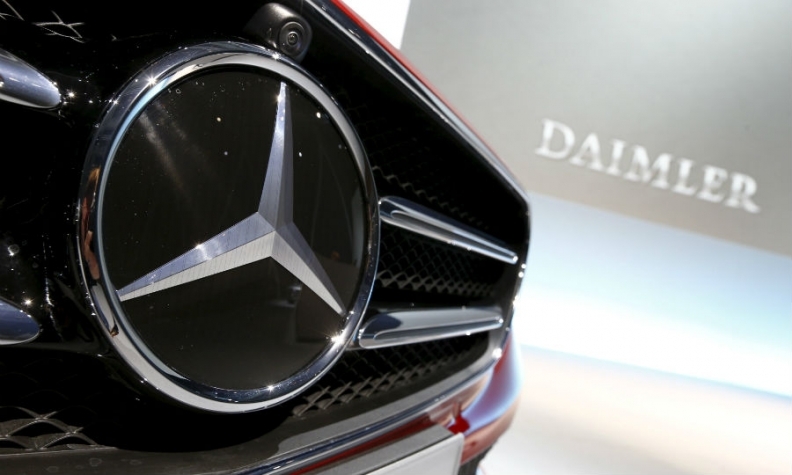 FRANKFURT -- Germany’s road vehicle authority, KBA, has found five “illegal switch-off devices” in Daimler engines, the Bild am Sonntag newspaper reported on Sunday. The authority said it suspected the emissions control devices were being used in the bulk of Daimler’s new Euro 6 diesel car fleet, encompassing some 1 million vehicles, according to the report. He reiterated previous Daimler comments objecting to the KBA stance that switch-off devices were in breach of regulations. Daimler, like other car manufacturers, uses urea nitrate liquids to naturalize nitrogen oxide emissions in exhaust fumes. However, the KBA has taken issue with the emission control features amid suspicion they allow vehicles to emit excess pollution without detection. Daimler said last month it would appeal against an order by the KBA to recall the Mercedes van Vito 1.6-liter Diesel Euro 6 model, following a transport ministry investigation. Since rival Volkswagen admitted in 2015 to cheating U.S. emissions tests, German automakers including VW, Daimler and BMW have faced a backlash against diesel technology in which they have invested billions of euros. Daimler CEO Dieter Zetsche is set to meet with German Transport Minister Andreas Scheuer on Monday, after they met last week to discuss diesel emissions.